This blog was initially published on Smokingpipes.com to introduce the Pipe Rescue project. We're republishing it here to provide context for any estate pipes that are tagged "Pipe Rescue". 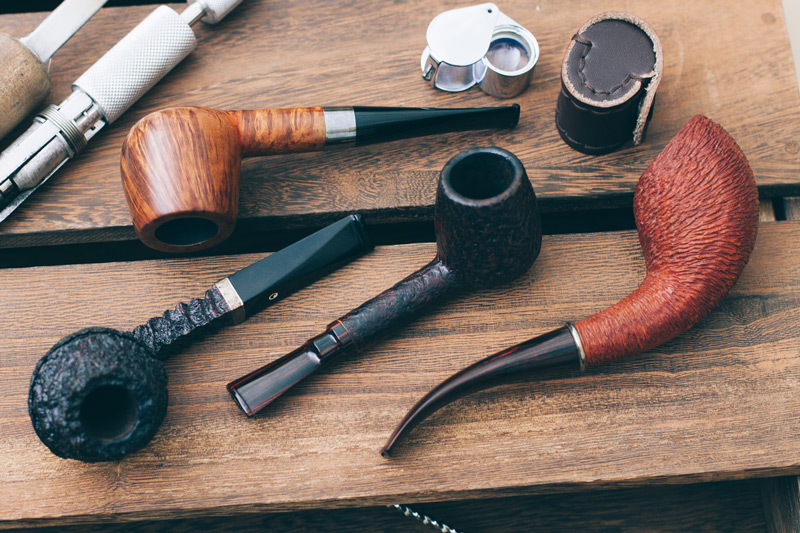 If you have pipes you'd like to trade, you can find more info here. 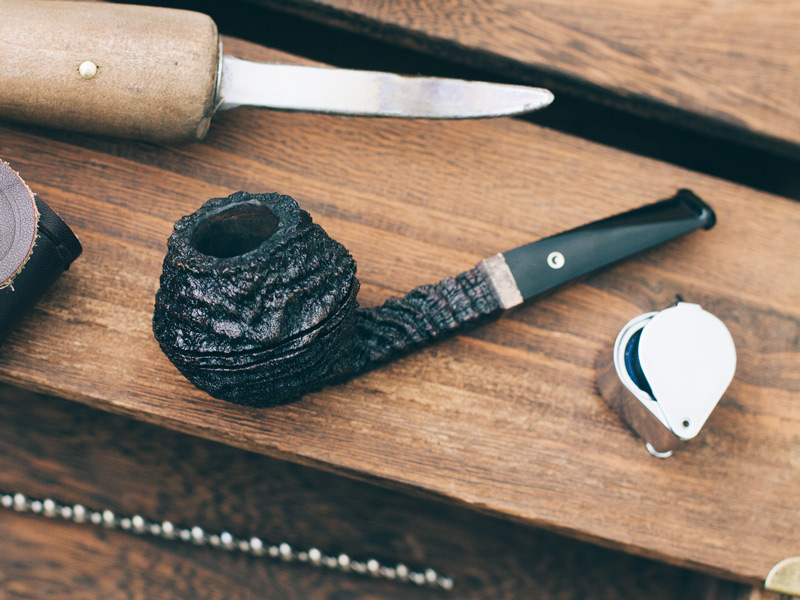 As some of you may have noticed, we recently dropped a new category into our estate pipes selection: Pipe Rescue. In short, these are pipes that needed a little more love than our usual restoration process could provide. The slightly longer version is that we had a number of pipes, some of which have been sitting around for years, of which the extent of the damage had not been discovered until restoration had begun. Now, being honest, there was obviously a financial concern here, in that we'd paid money for pipes we now couldn't sell. More than that though, there were quite a few pieces that we were just downright uncomfortable not putting back into the public's hands (the two Chonowitschs below for example). The solution we came up with was simple enough: repair the pipes and put them back on the market. The implementation? Not as simple, the main issue being that we have both a responsibility and a vested interest in making sure that these pipes are known to be repairs. We decided that the best way forward would be to give these pipes their own section of the site, and to commision a stamp with the initials "SPCR" so that anyone these were then sold on to would be made aware of any repairs and aftermarket parts. We've even sent photos to the good people at Pipephil.eu so that it would be a matter of record. It's also worth noting here that we have sold, and will continue to sell, pipes that have already had aftermarket repairs. These pipes will not be stamped with "SPCR", and we will continue to note any repairs in the condition statement of every pipe. So, what kind of repairs are we talking about exactly? 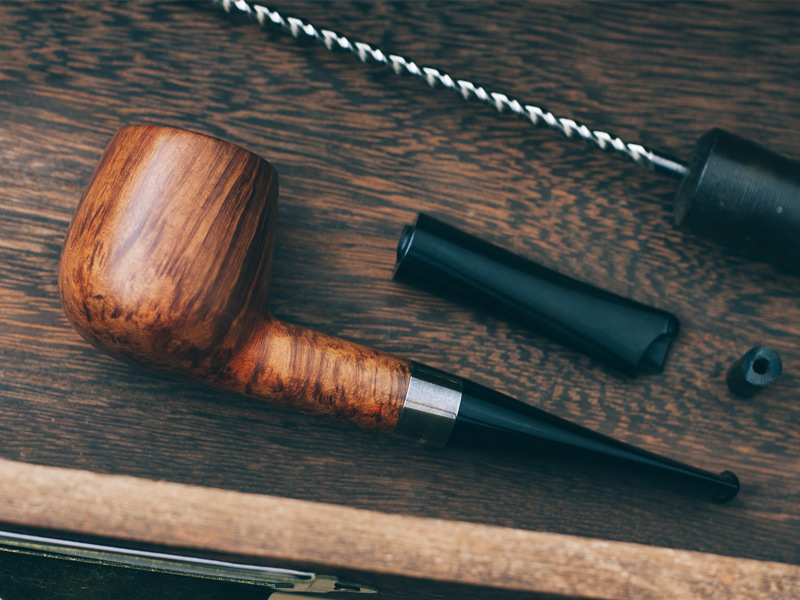 I sat down with Adam Davidson, pipe carver, our own estate manager, and the man responsible for these repairs, to walk us through a few examples. As you'll see, both Chonowitsch pieces needed replacement stems. The second was a little less severe (you can read about that below), but on this piece the stem was in multiple parts, with the mouthpiece broken at the button, and the tenon sheared straight off. Adam decided to go as minimal as possible for this repair, copying it and staying as true to the original as possible - "This piece has a replacement stem and as you can see it's basically a copy of the original stem." As above, this Chonowitsch sandblasted Brandy needed a replacement stem. As I mentioned earlier though, the extent of the damage was less severe on this example, having only a pinhole tooth mark in the bottom, right near the button. 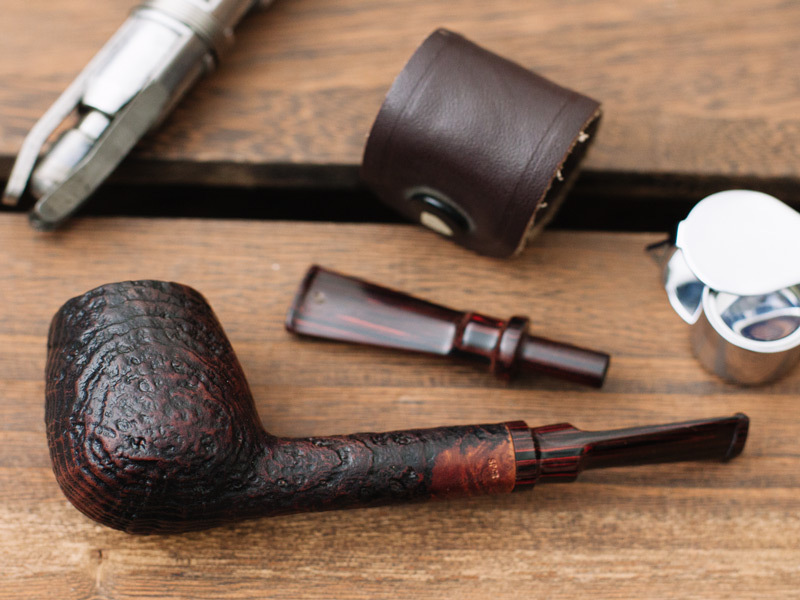 In fact, with a softie bit to seal the hole, you could even go on smoking it with the original stem, so we decided to include the original with the pipe - "This is one of those rare cases where they'll get the replacement stem and the original stem, and it shows that you've got a really interesting Cumberland saddle piece here, so the replacement is a duplication of that." Probably our second most seen damage to pipes is, of course, the cracked shank. Sometimes a fault in the wood, sometimes a tenon moved inside the mortise while the wood was still hot, and sometimes a straight up dropped pipe, there's a host of reasons that this can come about. The most common fix, and one we've seen on pipes for over a century, is a repair band. This Michael Parks for example, has been repaired with a simple, elegant little band - "It's a minimal repair, knowing that a domed silver band would look good on this piece, as well as repairing the shank so the crack wouldn't open up." Sometimes though a simple repair band just doesn't meld with the aesthetic of the piece. 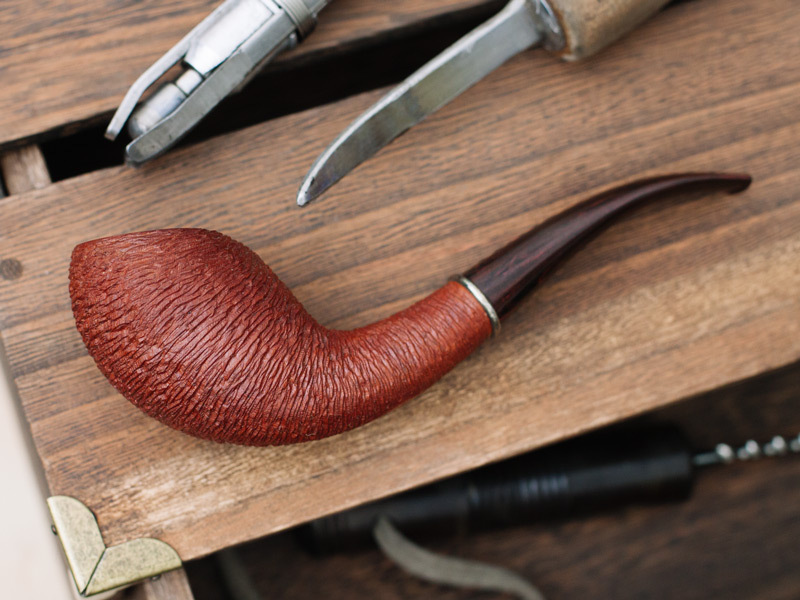 This J.T Cooke is one example, being not only heavily sandblasted, but quite lithe along the shank. For something like this, thinner is better, as it not only avoids disrupting the blast, but it doesn't step up the profile of the lithe shank. 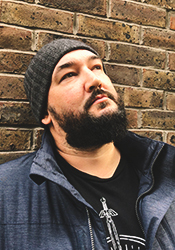 For good measure, Adam also gave it some texture, adding to the blast rather than detracting from it - "The only way to repair it was to make a very thin silver band all the way along the outside. It has a bit of a texture to match the sandblast, but it's a paper thin band, because of the way the blast steps down. If I did anything else I would have to cut off the tenon, do a reverse tenon, etc. This keeps it as original as possible while repairing the shank to prevent further issues." These, and a lot more rescued pipes, will be rolled out to the site sometime in the future. For right now though, we've got pipes already in the Pipe Rescue category, so be sure to check those out. As always, please feel free to comment below, we'd love to hear your thoughts on our latest passion project.